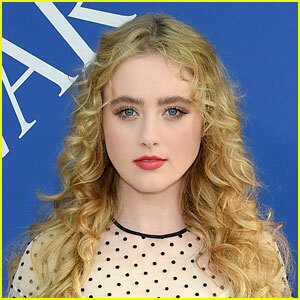 Kathryn Newton Dolls Up For amfAR’s Paris Fashion Week Dinner | Kathryn Newton | Just Jared Jr.
Kathryn Newton wears a chic bow in her hair while arriving at the 2018 amfAR Paris Dinner held at The Peninsula Hotel on Wednesday (July 4) in Paris, France. Inside the event, the 21-year-old Big Little Lies and Little Women actress was seen dancing with Brandon Thomas Lee. Earlier in the week, Kathryn stepped out for the Christian Dior fashion show and dinner. This was Kathryn‘s first ever invite to fashion week and told W magazine that she was pinching herself over it. Kathryn Newton Takes The Best Pics with Fans at TIFF!